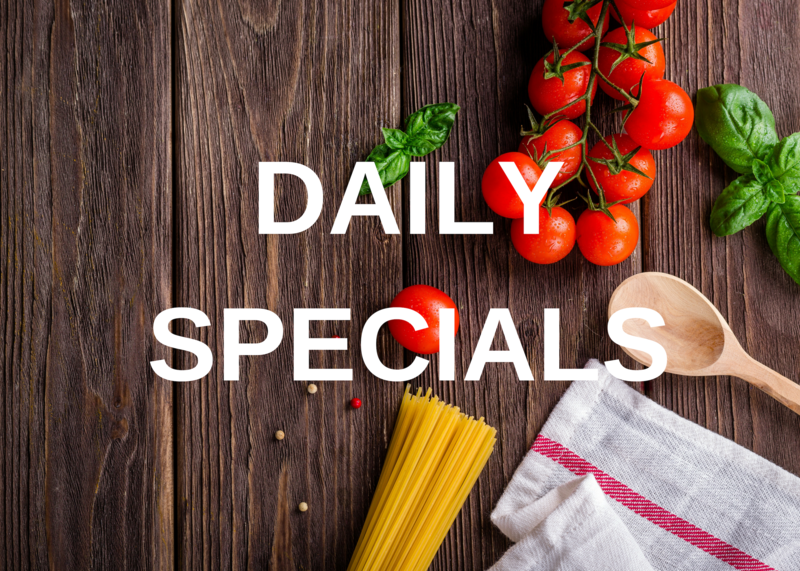 We have a range of specials everyday. Take a look at our sample menu…. We offer a lovely range of Specials every day, please ask to see the specials board when you arrive. Tender diced lamb slowly cooked in caramelised onions, garlic, ginger and Moroccan spices, mixed with tomatoes, apricots and honey, served with a citrus and herb cous cous with fresh coriander and carrot crisps. Exe Estuary Mussels, King Prawns, Calamari and a fillet of Hake cooked in a basil, tomato, red wine, garlic, chilli and fennel sauce served in a large bowl with a warm granary baguette to soak up the sauce! Served with a rich herby gravy, garlic and rosemary roast potatoes, carrots and peas. An open topped pie made with roast chunky potatoes, mature cheddar cheese, onion, garlic and herbs. Served with vegetarian gravy, peas, carrots and roast potatoes. Exe Estuary Mussels cooked with onions, garlic, herbs and cream with French Fries.